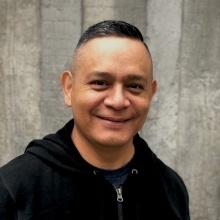 In the fall of 2012 while doing a talk at a local conference in Los Angeles I was approached by Oscar Menjivar, founder and CEO of Teens eXploring Technology (TxT), a non-profit organization teaching inner city teenagers from South Los Angeles about technology and leadership. Oscar was looking into Drupal as a potential technology to include in the summer coding academy his organization holds every year. Oscar was very enthusiastic as he described TxT and asked me if I would be interested in talking to the students about Drupal. Giving back to the community has always been important to me and hearing from Oscar that this could make a difference in a kid’s life made it more appealing. We kept in touch in the weeks and months after our first meeting and we discussed ideas on how to introduce Drupal to the program. The more I talked to Oscar the more I learned about the program and its purpose. For example, I learned that all students are boys of color (Black and Latino), who live in the South Los Angeles area traditionally known for high crime, drugs, gangs and low income families. Students apply to the program and, if selected, spend the following 15 weeks learning from Oscar and his team. The reason they are all boys is because statistically they are at a higher risk of dropping out of school than girls. Oscar hopes to fill the gap and provide students with an alternative to what they currently have. It was now summer of 2013 and for the next 15 weeks the students would meet at USC where the school has facilitated a modern computer lab for the them to attend their lessons and write code. Each kid gets to borrow a MacBook Pro for the summer and together they form teams to begin developing web apps. I was extremely impressed with the students, the program and how Oscar and his team run it. The program’s main focus is help students learn leadership skills such as public speaking, critical thinking, designing, developing and leading others. Each team selects a project manager, lead developer and a UI/UX designer. The students assignment is simple - identify a problem in your community and figure out a solution using technology. Having never thought about teenagers before, let alone teaching them technology, I didn’t know what to expect. After getting to meet the kids and hear their stories, I have to say it has been an extremely rewarding experience for me. The kids are smart and willing to learn. Not everyone selects Drupal to build their applications but the groups that do get to learn from me and my experience with the CMS. We meet at USC during the weekends and if needed we conduct Google hangouts to answer questions or provide guidance when students run into problems or get stuck. I have been working with Drupal for about 7 years and I totally love it. I don’t see myself doing anything else. This past year has been extremely exciting for me because I left my job of 15 years with the federal government to pursue a career as a full time Drupal developer. This was a big and intimidating move for me because after being at a job for 15 years most people get comfortable and are afraid to jump into the unknown. This is even more intimidating when you think about your responsibilities as your household’s only provider. If I fail at this my family will also pay the price for it. However, if I succeed, this could change my life and therefore that of my family. It was not an easy decision to make but I knew if I made this move it would have to be a company with values similar to mine, a company who gives back to the community and who values its people. I was lucky to have found that company in Mediacurrent. The one thing that attracted me about Mediacurrent is the fact that they make it a point to set time and resources aside to give back to the Drupal community through organizing DrupalCamps, contributing to code, maintaining modules and sponsoring events. Not many for-profit organizations have that type of commitment. This is what sets Mediacurrent apart from other web development agencies. 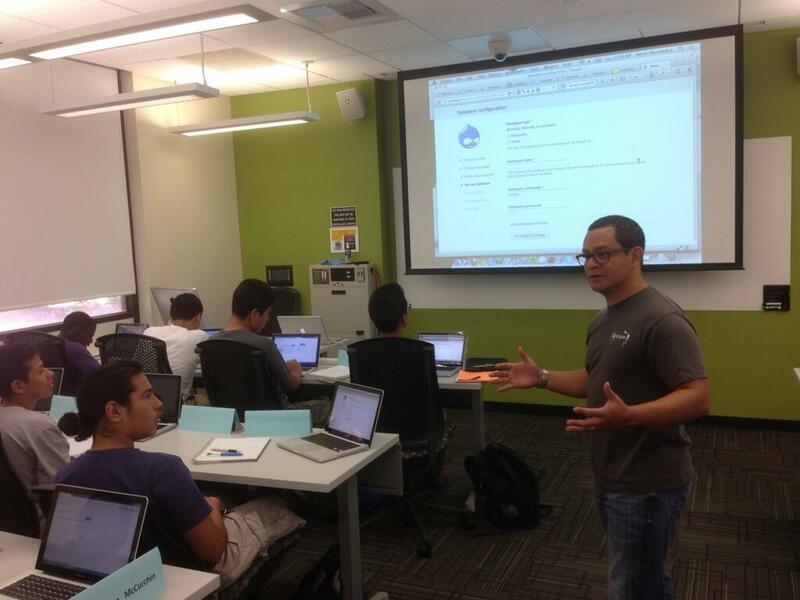 Now as a Mediacurrent employee I get to play with Drupal all day and work with some of the smartest people. I get to work with people I admire for their knowledge of Drupal and their quality of work. If you’re asking yourself what does Mediacurrent has have to do with Teens eXploring Technology, maybe nothing, on the surface, but deep inside, a lot. In my case, I get to work with fun, smart and helpful people all day and as a professional that’s all you hope for in a job. I tell this to students of TxT. I explain to them that if they would really like to design, develop or being be a project manager, they too can find themselves doing the things they love at a place where everyone loves it too. Now in my second year teaching Drupal to the students of TxT, I’m honored to be part of this organization and I am having more fun than ever. This is a new group of students but they have the same attitude about learning as last year’s groups. I feel a sense of responsibility to teach them everything I know about Drupal because this could make a big difference in their lives. Admittedly these kids are living in a tough area. This program provides them an alternative to drugs and crime which are prominent in the area. To them this program could be the difference between making it or not making it later in life. That’s how I see it. If I am able to help one kid stay home at night reading about Drupal instead of being on the streets getting in trouble, I feel I have done something good for someone. To make matters even more exciting, last year Oscar asked me to lead a team of designers and developers and work on a new brand for the organization. As the lead developer I was in charge of theming and developing their brand new website which was built with Drupal. It is the project I am the most proud of and this year we are introducing it during the program’s demo day, which is the day the teams showcase their applications to a large audience which includes community leaders, technology giants such as Google, Microsoft and others as well as the kids families and friends. It’s a day where the kids show us the result of their hard work and perhaps the beginning of a new life for them as a designer, developer, project manager but certainly a leader. I’d like to close by saying that I’m thankful for many things in life. I’m thankful for my family, my job and friends, for having the opportunity to make a difference in a kid’s life through technology. I’m thankful for having found a career that gives me so much pleasure and joy, I am thankful for Drupal.